Peñiscola, to the north of the Valencian region, is in an especially beautiful part of the Spanish Mediterrane-an. This region is 79 km2 in length, 17km of which run parallel to the coast and are evenly distributed be-tween forest areas and pleasant Mediterranean croplands, among which there is no shortage of orange, ol-ive and almond trees. The ancient city, named as an abode of Pope Benedict XIII, is a castle-fortress built in the XIV century, oc-cupying an imposing rock that rises 64 metres above the blue sea and attached to the mainland by a sand-bar that at one point was swept away by the waves during storms, temporarily transforming the city into an island. 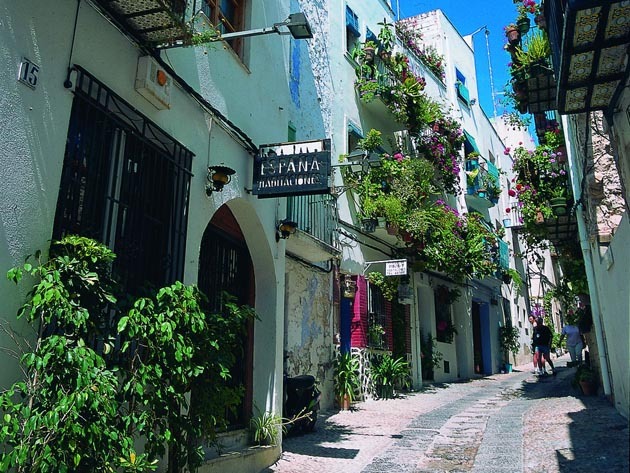 In contrast to the old town, you will also find new streets and avenues in the tourist area. North of the citadel are fine sandy beaches with warm waters in the summer and autumn, and to south you can find coves flanked by abrupt cliffs. Peñíscola is situated to the north of the province of Castellon in the Baix Maestrat region, some 79 km from the capital. You can get there on the N-340 highway, via the A-7 motorway (exit 43), or from the Benicarló-Peñíscola railway station, in the middle of the Mediterranean corridor, which includes all the main stops along the route. Peñíscola can be approached from any direction. We first leave Barcelona on the A-7 highway, then pass through the Tarragona area until we get to exit 43 at Peñíscola, Benicarló, Vinarós. At this point we leave the highway and take the N-340 to the junction with the CV-141. From here, we’ll only have to follow the road to the CV-140, which leads us directly to Peñíscola. From Madrid, take the M-30 Road to the N-III motorway. Then continue the journey on to the A-31 motor-way to connect with the A-3 and then to the A-7. Once you reach exit 43 of this highway, turn on to the N-340. From there you’ll take the CV-141 and CV-140 to reach your destination. The journey from Valencia to Peñíscola is much shorter. Leave the capital to continue on to the A-31 motor-way. You’ll then take the A-3 highway to get to the A-7. Once arriving at exit 43 on this highway you'll follow the same route as you did previously. 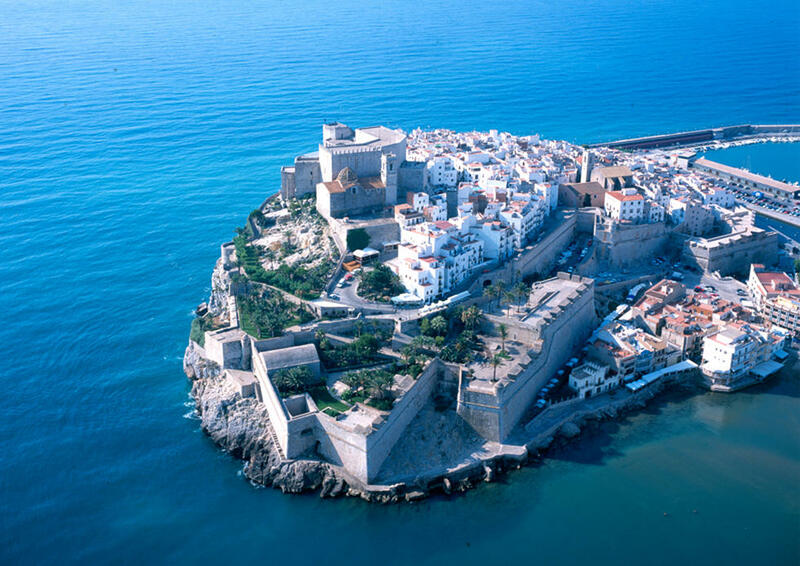 We recommend that you take a walk around the old town, through its winding alleyways, as well as visiting the Papa Luna castle and the Sea Museum. If you like outdoor excursions you can't leave Peñiscola without visiting the Serra D'irta, declared a National Park and Natural Marine Reserve in 2002. There are excursions from Peñiscola to the Columbretes Islands national park, an archipelago with great richness in marine flora and fauna. Sant Jordi Golf & Country Club and its panoramic 18-hole golf course is situated 30 km from Peñíscola, located in a unique setting. Castellón province is known for its tremendous cultural and historical richness, and Peñíscola, Morella and Sant Mateu are great examples of that.